I found myself shouting at the radio yesterday morning. I was up slightly later than normal, so when I turned the radio on in the bathroom, it was a phone-in rather than the usual breakfast news programme. The show had obviously been on for a little while, and the debate was already well underway. As I started to listen, I quickly gathered that the subject under discussion was Labour's shift in policy position on Britain's exit from the European Union: in a clear change of direction, the party announced on Sunday that Labour would support full participation in the EU single market and customs union during a lengthy “transitional period” that it believes could last between two and four years after the day of Britain's departure from the EU [read all about it here]. 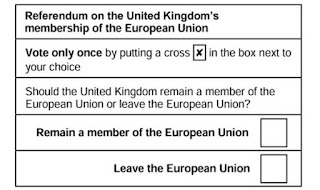 In case you hadn't noticed over the course of the fourteen months or so since the referendum, Britain's exit from the EU is a subject that continues to divide the nation. Rarely has so much ignorance been so loudly displayed by so many people (on both sides of the debate) over such a long period of time. Unfortunately for me, I was in the shower long enough to hear several callers give the listening audience the benefit of their opinions on the subject. I realise that the station was actively selecting the people they put on the air and were well aware of their views and what they were likely to say, but even so, I was found it infuriating. The callers all sounded at the older end of the station's demographic, and they all, without exception, were very firmly of the view that this change in direction seemed specifically designed to somehow sabotage the democratic will of the people to break every single possible tie to Europe. Those Europeans have been holding us back, you see. We've stood alone for centuries, but in the last sixty years, these people have been slowly emasculating us and robbing us of our greatness. We need to stand alone and stand proud; people are queuing up to do trade deals with us! Obama said we would be at the back of the queue, but now Donald Trump says we will be at the front! The Ivory Coast has said what a favourable deal we could get on cocoa! We could single-handedly save the economy of Africa! (seriously... someone did actually make that point about the enormous potential of a cocoa deal with the Ivory Coast). Ignoring the entirety of human experience for a moment, how can people be so certain in their views when they seem to know so little about the subject? Look: I understand that more people voted to leave the EU in the referendum than voted to stay. Although I think this is an act of wilful self-harm, I'm not one of those people who thinks we should ignore the result of the vote entirely. In fact, listening to these callers rather reinforced my view that, even if we were to stage the referendum again now, I think the leave vote would be even larger second time around. It's just that people have read far more into the result than was on the ballot paper. 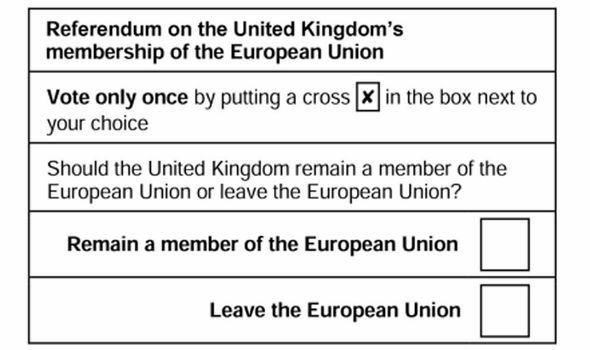 We weren't asked for our views on immigration or on the single market or the customs union or on the European Court of Justice....just on whether we wanted to be in or out of the European Union. The fact that these are separate things is a distinction lost on most, not that this stops people sounding off about it. Or, indeed, most of our elected politicians washing their hands of taking any real responsibility for this bloody mess. Everyone is entitled to their own opinions of course, but that doesn't mean that I have to believe that all opinions are created equal. At least try and present a cogent, reasoned argument. Or, come to that, present an emotional one, but don't try and dress it up with absolute nonsense. Don't talk to me about how democracy has spoken; don't tell me that my Brexit must be 'hard' and that the people have spoken; and above all, don't trumpet your ignorance on a national radio phone-in when I'm showering. I can accept that people have different opinions to me, but try and think about them at least a little bit, eh? You made me shout at the radio and definitely harshed my bank holiday mellow. Ugh. What's wrong with people?